"Linens Included" terms: COMPLIMENTARY BED & BATH linens for any 7-night reservations in Peak Season 2019! Includes all bed linens, 6 bath sets, and one dish towel set. Relax...unwind and get in a flip-flop state of mind. This two bedroom end unit townhome invites you to wrap yourself in relaxation. Upon entering you are greeted by a quiet place for slumber. 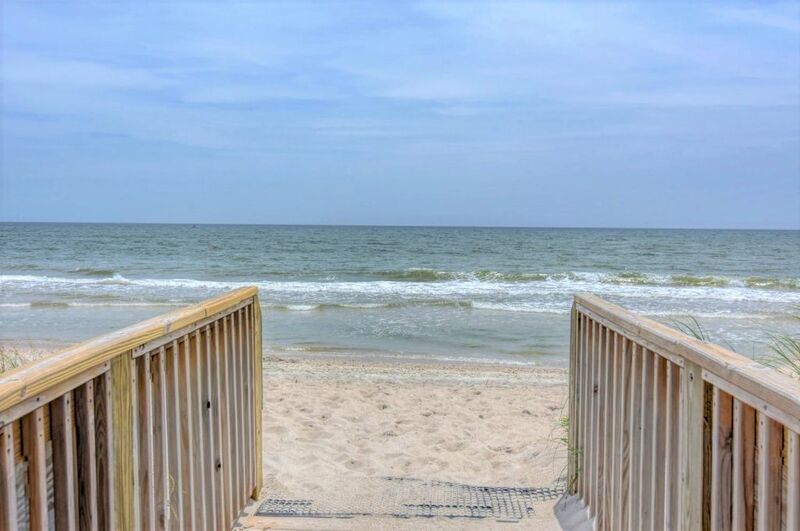 The long foyer draws you closer to the ocean with the second bedroom featuring 2 twin beds with tempurpedic mattresses and access to the front deck located immediately on your left. The full shared bathroom has two access points, one from the main hallway and one from the master bedroom. The master bedroom is at the far end of the lower level closest to the ocean and features a queen bed with tempurpedic mattress, flat screen TV and access to the private lower deck. The lower deck features beautiful views of the community pool and the ocean just beyond the pool. Travel up the staircase into the open serenity of the main living area. The family room is a great gathering place after a long day on the beach. The upper-level deck is located just beyond the sliding doors and is the perfect spot for complete relaxation as you listen to the ocean waves crash. The dining area invites you to come have a wonderful meal. There is seating for 6 plus 3 additional seats for a casual meal at the breakfast bar. The kitchen has all the amenities of home, granite counter top, stainless appliance and custom built service island. While dinner is cooking enjoy a glass of wine on the deck, which is located off the kitchen. The half bathroom is conveniently located on this level as well. 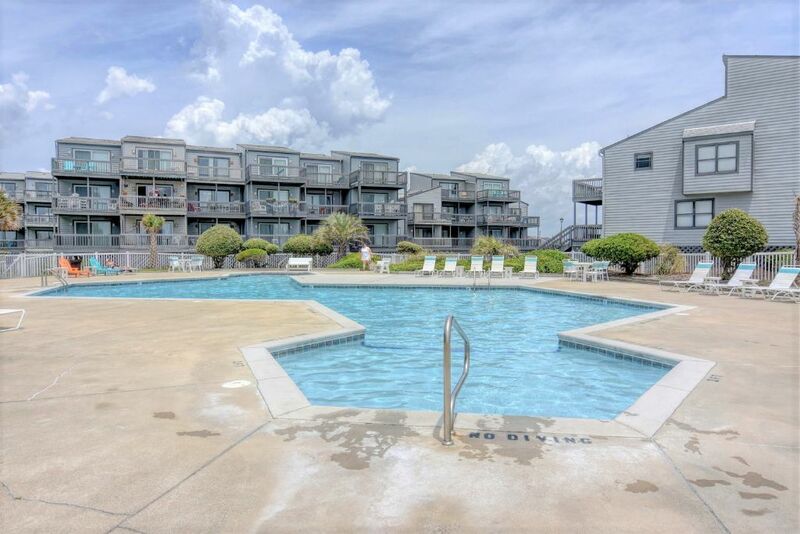 Whether you like the sand as your seat or the pool as your floaty, the community beach access and the community pool are only a short walk away. Community pool is scheduled to open May 15th, 2017!